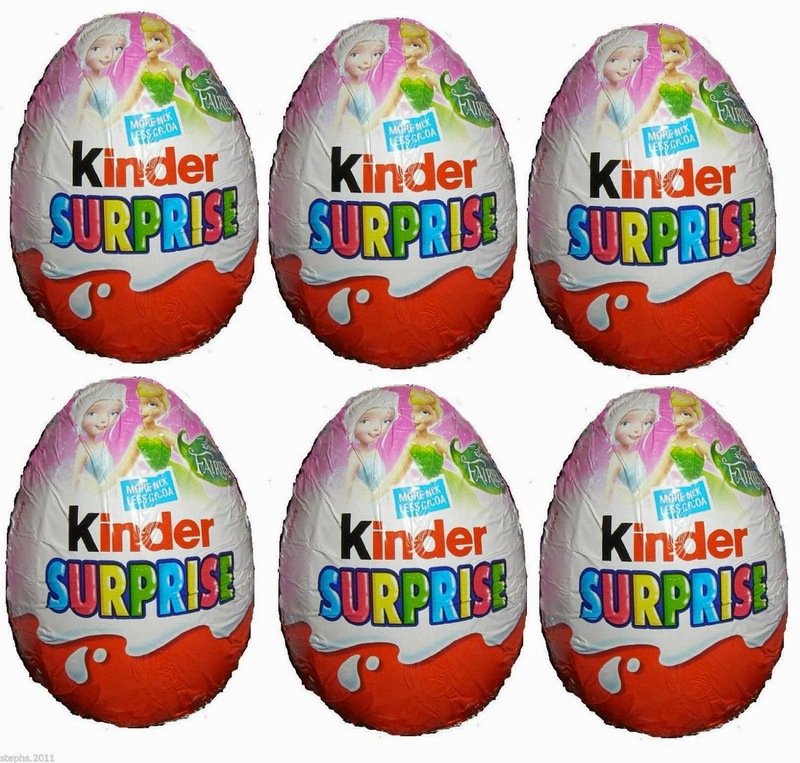 Mum of Five Staying Sane: Dear Mr Shopkeeper and Mr Ferrero, yes my son really did want to buy a Disney Fairies Kinder Surprise Egg, no it wasn't a mistake that he picked that over the Avengers Assemble one. Stop it, just stop it! Dear Mr Shopkeeper and Mr Ferrero, yes my son really did want to buy a Disney Fairies Kinder Surprise Egg, no it wasn't a mistake that he picked that over the Avengers Assemble one. Stop it, just stop it! A few days ago I walked down to the local shop to let Thing 5 buy some sweets. It was a quiet day (for once) and I had promised we would go out for a walk. It's inevitable nowadays that he will go straight for the Kinder Surprise Eggs. He seems to have become obsessed, like most young children it seems, with the Kinder Surprise Egg unwrapping videos on Youtube and so now he knows that inside that wrapping, underneath that dreamy chocolate is a yellow plastic pod waiting to be opened to reveal something 'amazing'. 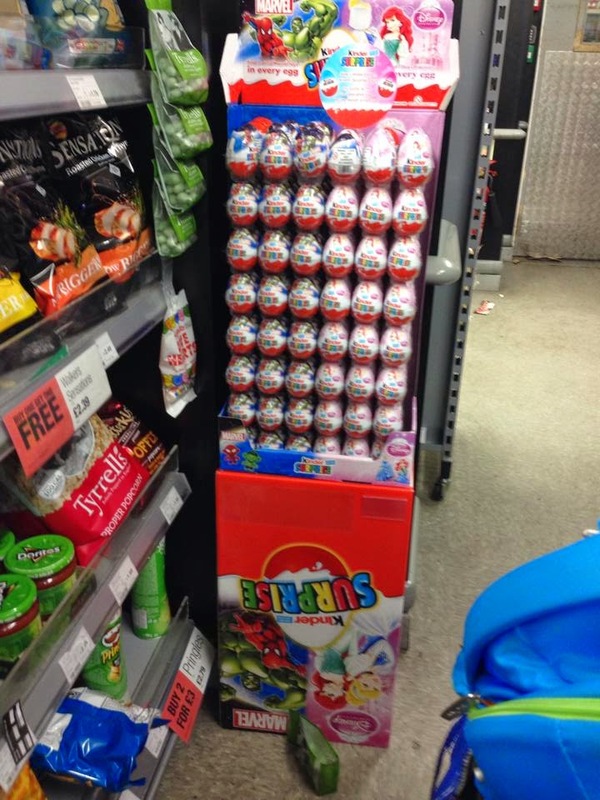 As we went into the shop he knew exactly where to go to get his Kinder Egg. He chose the Disney Fairies one. At the moment there is Disney Fairies and Avengers Assemble to choose from as well as the normal Kinder Surprise eggs. As we got to the till the cashier asked if he wanted to change his Kinder Egg, he seemed to have picked up a pink one. Errrrrrrrrrr, excuse me??!! Did I miss the sign informing me that the pink Disney Fairies eggs were for girls only and the Avengers Assemble ones were for boys. 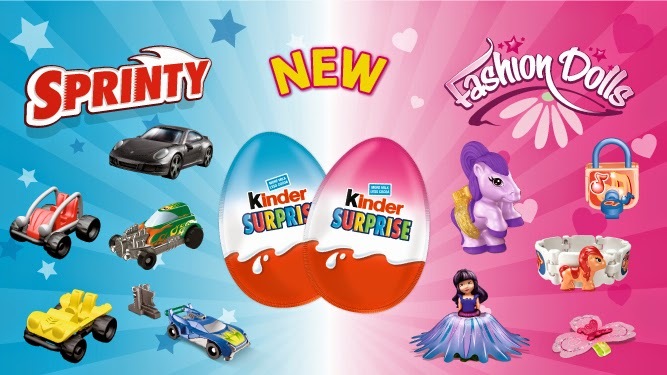 Am I going to get arrested on the way out by the gender stereotype police because I bought my son a pink Kinder Egg. Don't get me started on why Ferrero (Kinder) felt the need to even put the pink and blue colouring on the egg in the first place. I mean boys can like pink but still want a car and vice versa for the girls. Who said there were specific toys for boys and girls? Did I miss some vital piece of parenting information that over the span of raising five children I have completely neglected to follow and am living on borrowed time before I get carted off for not following the pink and blue rule?? No, no I didn't miss anything. Toys are toys. Toys aren't for boys or girls, they are for children. Thing 5 is off to push his dolls pram around the garden and we will be buying more Disney Fairy Kinder Eggs, because that's how kids play Ferrero.